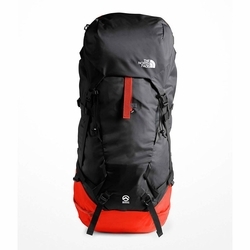 The North Face Phantom 50 Backpack. If perfection was a pack, it would be the Phantom. Featuring everything you need and nothing you don’t, this do-it-all, lightweight, 50-liter alpine pack extensively tested on several expeditions and countless outings maximizes features while minimizing weight. For all the right reasons, like a removable, floating top lid and reinforced ski-carry system, it’s an athlete favorite.